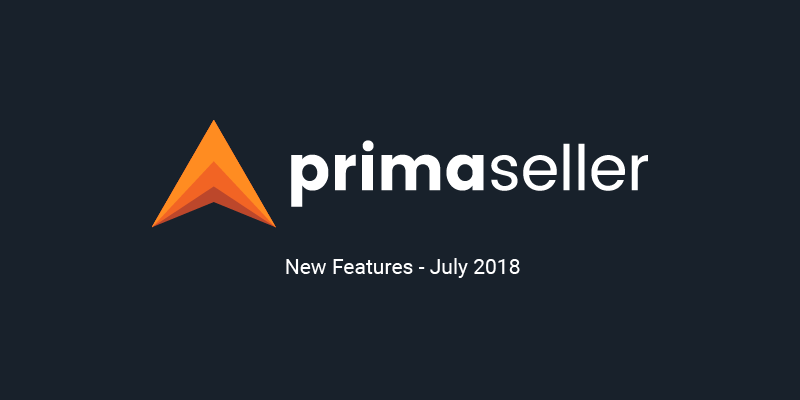 Check out how much you spend on shipping without Primaseller, just using the Retail plan, and how much you can save with Primaseller’s discounted USPS rates. 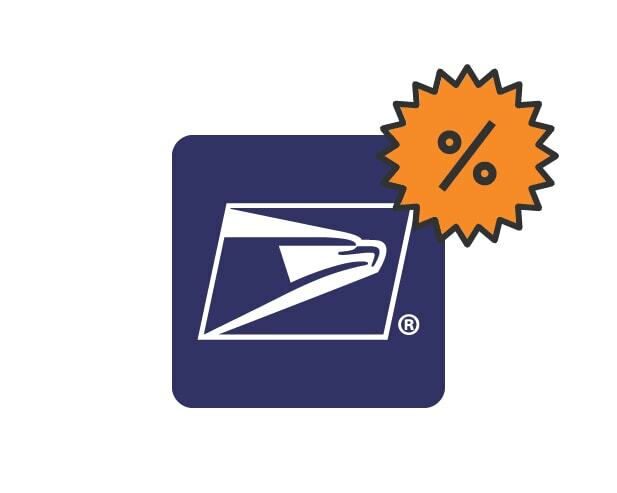 With Primaseller’s tie up with USPS, get Commercial Plus rates. 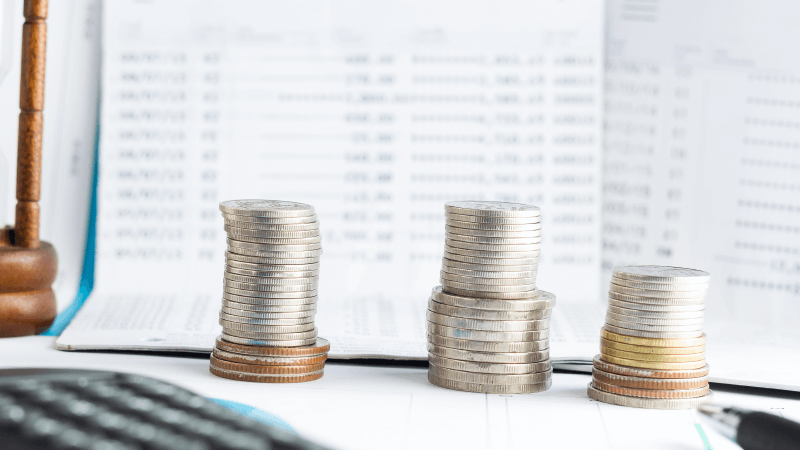 Since USPS classifies shipping rates based on zones and ZIP codes, we’ve done all the hard work for you and looked up how much it costs to ship a medium package between these two places, approximately. Source: USPS. Please note that prices may differ from those shown in the image if you check on a different date. 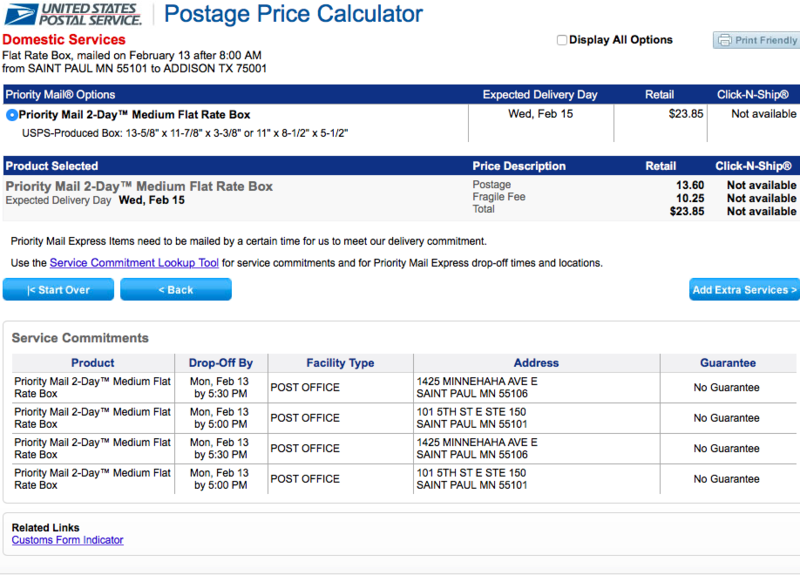 With Minnesota as the source, Dallas falls into Zone 5 for USPS shipping. The estimated total for a two day delivery with USPS Priority Mail of a medium package is $23.85 which is much lesser than FedEx. Do note, however, that USPS does not provide a service guarantee. Nevertheless, you choose to go with it. 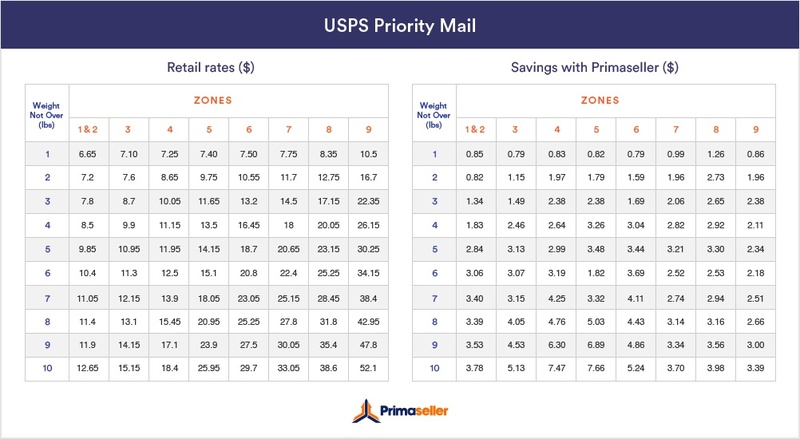 With Primaseller’s USPS integration, on a package such as this shipping in Zone 5 via USPS priority mail, you can expect to save up to $6.89 per shipment! Imagine how much that would compound to with multiple shipments across zones. 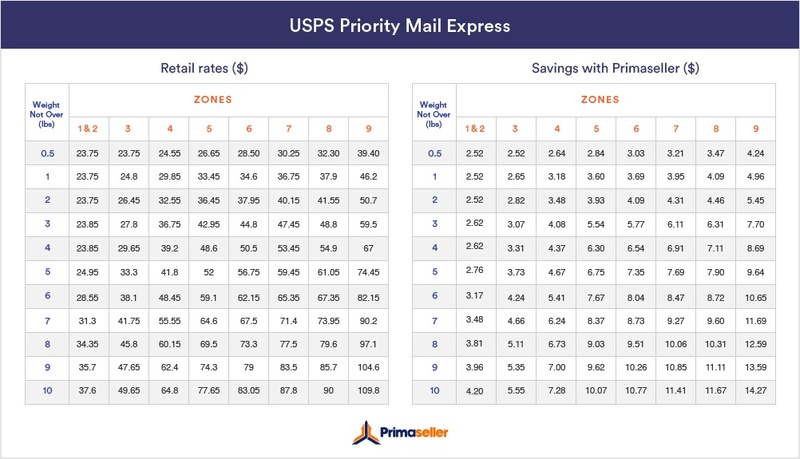 Refer to the tables below to see USPS Retail plan rates for Priority Mail and Priority Mail Express and the savings Primaseller offers in comparison. But that isn’t all that Primaseller offers. 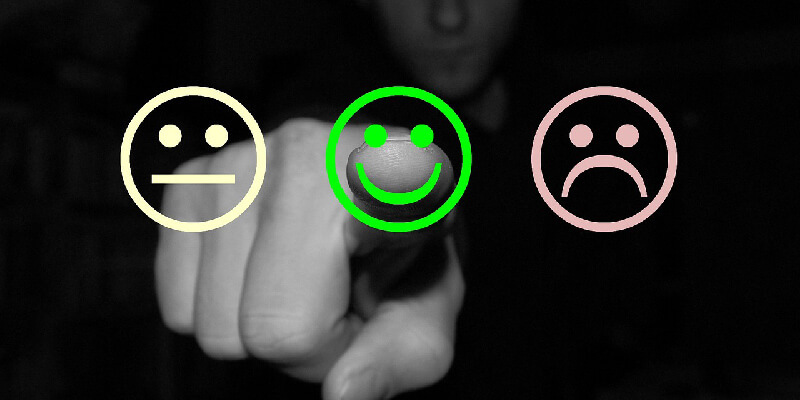 Indeed, we’re integrated with the best and most trusted shippers on the planet, but why stop there? As a retail management platform, we have tools and resources that can help you sell across multiple channels. 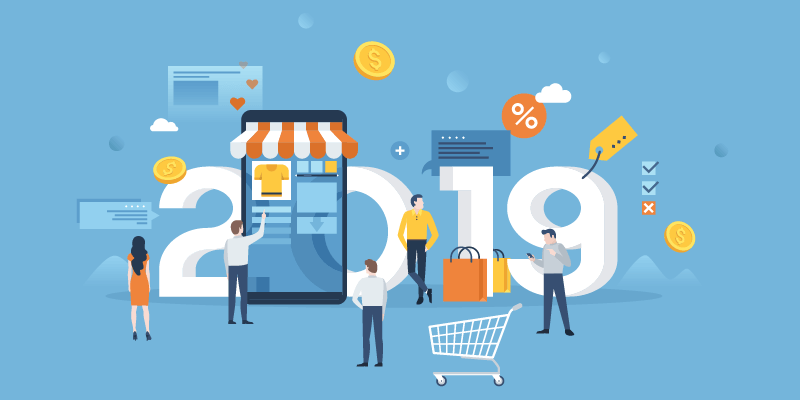 Inventory management, Multichannel retail integration, POS solutions, accounting integration and reporting tools are just some of the many features we offer, all within the same package. 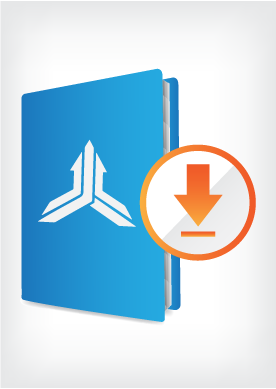 Request a free trial to know more. 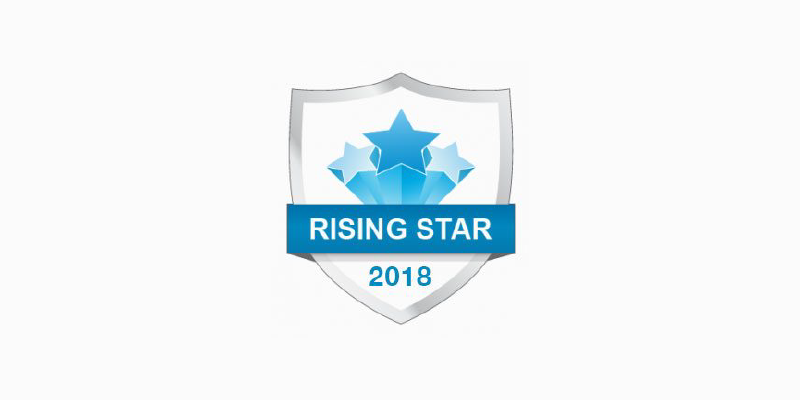 CompareCamp 2018 Awards- Primaseller is a POS and eCommerce Software Rising Star for 2018!